No, a Texas school district did not require speech pathologist Bahia Amawi to sign a “pro-Israel pledge,” nor even to promise not to personally boycott Israel. What country has legal sovereignty over Jerusalem? Amid the looming backdrop of Israel’s next, unprecedentedly destructive, armed conflict with Hezbollah and potentially other adversaries including Iran, this new report from JINSA’s Hybrid Warfare Task Force examines how Israeli military operations will comply with the law of armed conflict (LOAC) even as Hezbollah intentionally exploits the same laws to stymie and delegitimize Israel’s self-defense operations. A court that’s biased against one country can’t be trusted to eschew bias against others. Shurat Hadin Israel Law Center names three senior Hamas figures as war criminals, says Hamas should be made to answer in International Criminal Court; Case based on Rome Statute clause stating recruiting children under 15 to militant groups is war crime. A comprehensive academic study of the application of Article 49(6) of the Fourth Geneva Convention to international occupations of East Timor (by Indonesia), Western Sahara (Morocco), Northern Cyprus (Turkey), and other occupied territories. 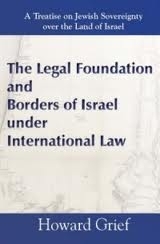 This volume by recognized experts from Israel and abroad outlines Israel’s legal case on key issues of international law. 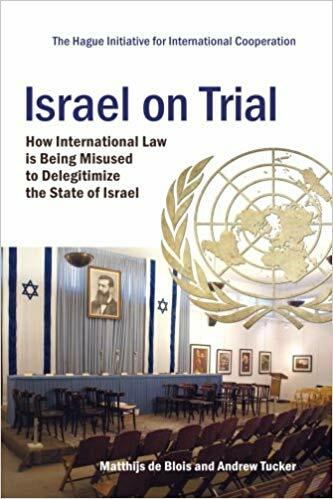 As questions are raised over the legitimacy and morality of Israel’s actions, the authors in this volume see Israel’s actions as firmly rooted in international law. These scholars present well-reasoned responses to the charges of “occupation,” “apartheid,” and “colonialism.” They also discuss the legal status of Israeli settlements, the West Bank security fence, and Israel’s borders. Many countries provide immigration privileges to individuals with ethnic/familial ties to these countries (so-called ”leges sanguinis”). As examples: Bulgaria, Belgium, Estonia, Finland, Germany, Greece, Hungary, Iceland, Ireland, Japan, Poland, Romania, S. Korea, Spain, Turkey, and Ukraine, all have citizenship laws based partly or largely on this principle – that is, a Right of Return of sorts for people determined to share a preferred common national trait. Apart from France, ”jus sanguinis” still is the preferred means of passing on citizenship in many continental European countries, with benefits of maintaining national unity (while not in any way necessarily denying equal civil rights for minorities within the country who have citizenship, but who don’t share such traits). So, in fact, Israel is not at all unique in seeking to maintain a nation unified by a citizenry who share a similar historical memory and a common sense of political & moral destiny. The Jewish right of settlement in the West Bank is conferred by the same provisions of the Mandate under which Jews settled in Haifa, Tel Aviv, and Jerusalem before the State of Israel was created. [….] Many believe that the Palestine Mandate was somehow terminated in 1947, when the British government resigned as the mandatory power. This is incorrect. A trust never terminates when a trustee dies, resigns, embezzles the trust property, or is dismissed. [….] The controversy about Jewish settlements in the West Bank is not, therefore, about legal rights but about the political will to override legal rights.